A few weeks ago I made a ham in the slow cooker. We don’t normally eat hams here, mainly because it’s just the two of us. And a ham equates to A LOT of food. We were talking the other day, reminiscing about Christmases past. Not our Christmases together but the ones from our childhood. And we realized that both of our families ate hams for dinner. On TV and in Christmas movies, I see families eat a goose or duck. Or a fancy roast. And both of our families have always eaten ham. I’m not really a pork person (bacon doesn’t count) but on Christmas, because it’s a special occasion, I give in and eat some. And I enjoy every bit of that Christmas ham. Well, today and Tuesday’s recipes are for the other ham families out there and are stuck with leftovers. I think we’re more common than what you see in the movies. And you can only eat so much ham on its own after Christmas is over. I called my dad to see what he does with his leftovers after Christmas – cause I know my dad is like me and doesn’t waste a thing. He said, that for the most part, he freezes his. And we did freeze a little bit. But the day before I planned to freeze the rest of the ham leftovers, I got really hungry. 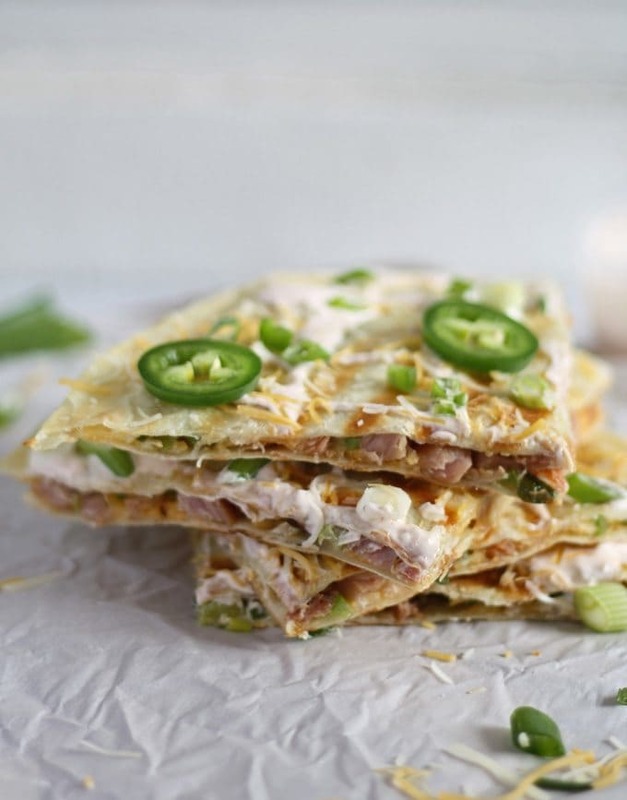 While digging around in the fridge, I found a jalapeno and some green onions and this ham jalapeno green onion quesadilla recipe was born. 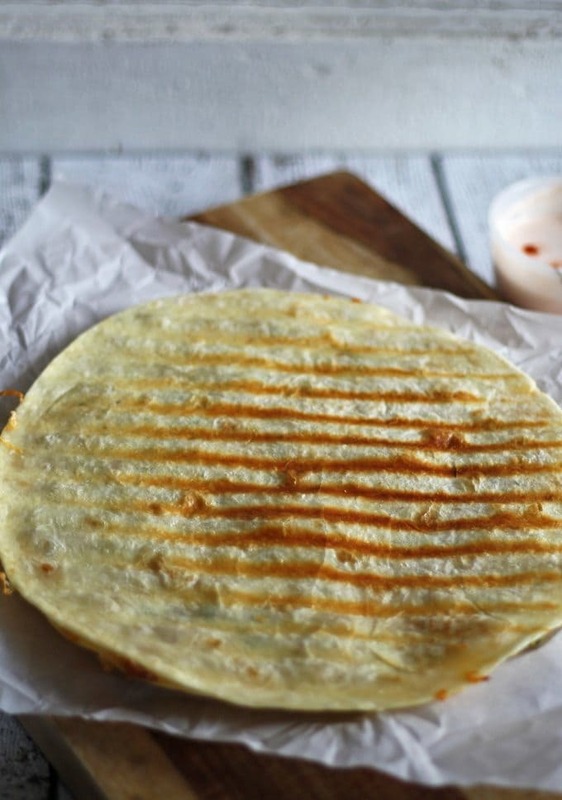 Straight out of the pan, this quesadilla is delicious. But to recreate the picture, you’ll need to cut up some additional green onions and slice up some more jalapeño. 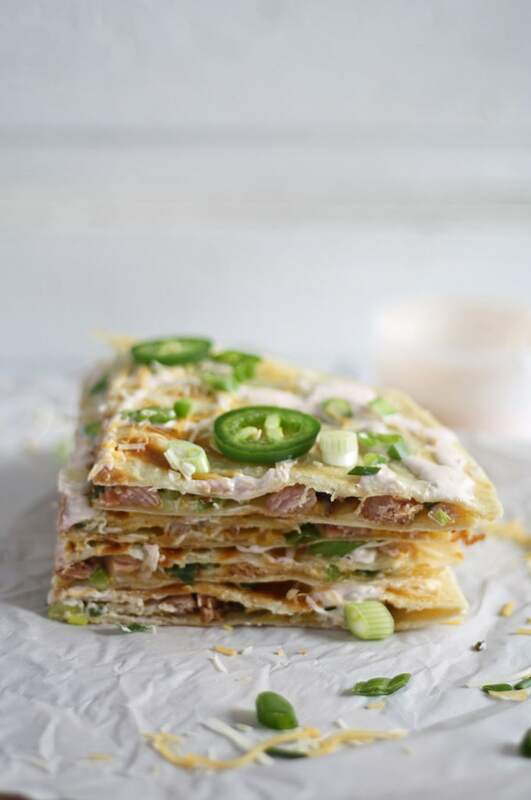 Then, drizzle sour cream on top of the uncut quesadilla and sprinkle extra shredded cheese and the green onion and jalapeno. Heat the olive oil in a grill pan or skillet on medium heat. On one quesadilla, spread out half the shredded cheese. Then sprinkle the green onions, jalapenos and ham evenly over the cheese. Sprinkle the remaining cheese over the ham. Cover with the other tortilla. When the pan is hot enough (splash some water on the pan and if it sizzles its hot), place the uncooked quesadilla on it. Cook until the bottom is crispy. Then flip, and cook for an additional 3-4 minutes. Slide out of pan onto a plate. In a small bowl, mix the sour cream and hot sauce together with a fork. 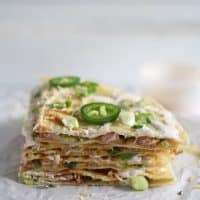 Drizzle the sour cream mixture on top of the quesadilla. Reserve the leftover for dipping. 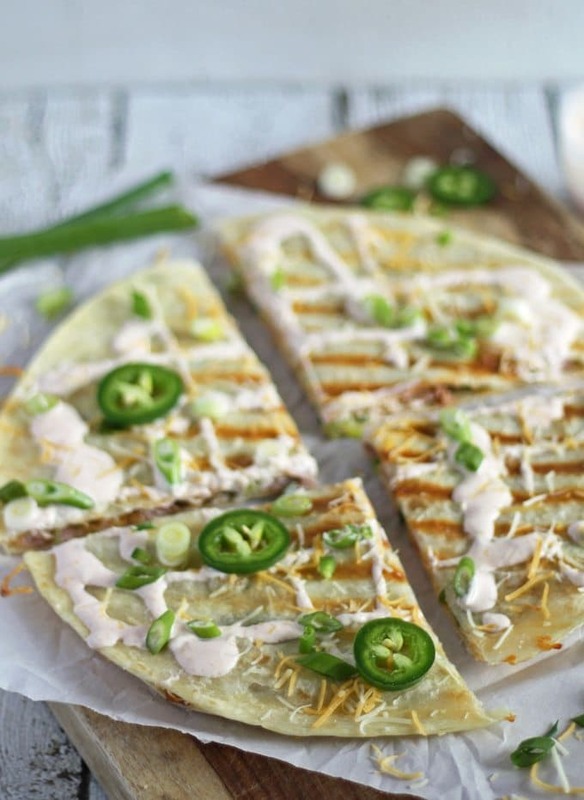 Sprinkle the extra cheese, green onions and jalapeno slices on top of the quesadilla. Cut into 4 pieces using a pizza cutter or sharp knife. This data was provided and calculated by Nutritionix on 1/28/2019. If you’re looking for more quesadilla recipes, check out my round-up of 21 savory quesadillas! This sounds really delicious! YUM! 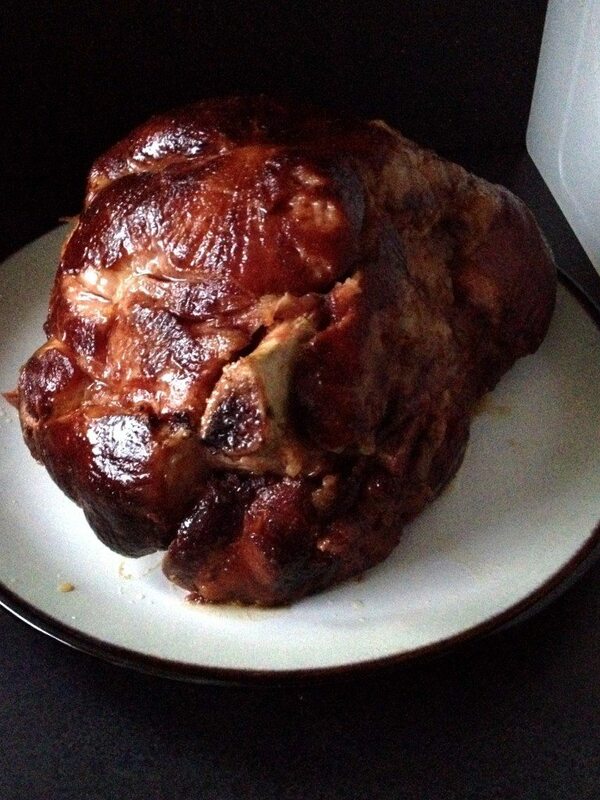 Nice looking ham on Instagram. There must be a #instaham hashtag, right? Anyway, really like the contrast of fresh jalapeños with salty ham. These would be perfect for the Super Bowl! Quick and easy, perfect! Thanks Lisa! Have a great weekend! This quesadilla is so pretty! Plus I’m a fan of anything jalapeno! 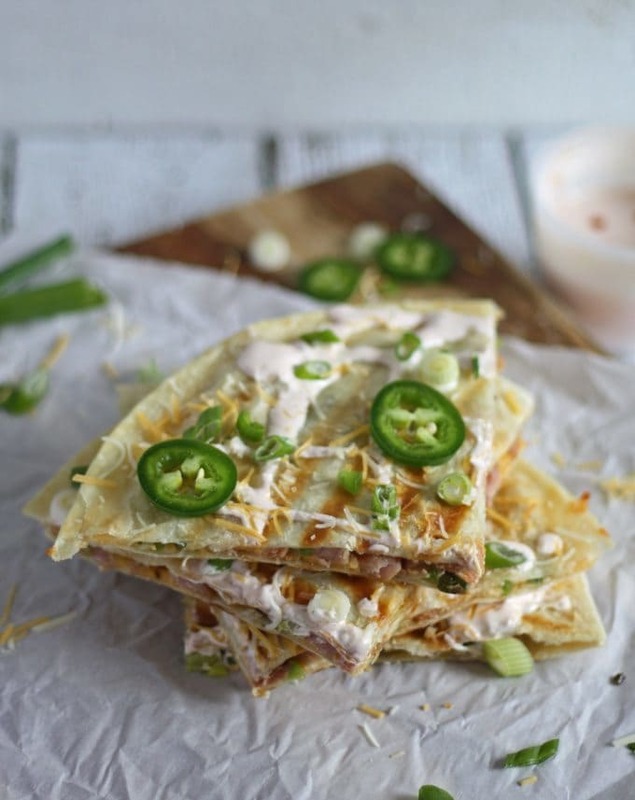 Quesadillas are so versatile to use up leftovers. I love your combination. Thanks for sharing on Creative K. Kids Tasty Tuesdays. I hope you will party with us again next week. This is a great combo of flavors! Heck, I make ham just for the leftovrs and dishes like this are why! Thanks for sharing on Throwback Thursday! Jenny this looks delicious! I dont even want to wait for leftovers – This sounds and looks beautiful! Fantastic flavors and so droolworthy! THIS is so mouthwatering Jenny!! I LOVE quesadillas! And the fact that you made this from leftovers is so much more laudable. Thanks for joining us at #SaucySaturday. Pinned!! Gah! Ok that’s it. I have GOT to make a ham. Just so I can have leftovers! 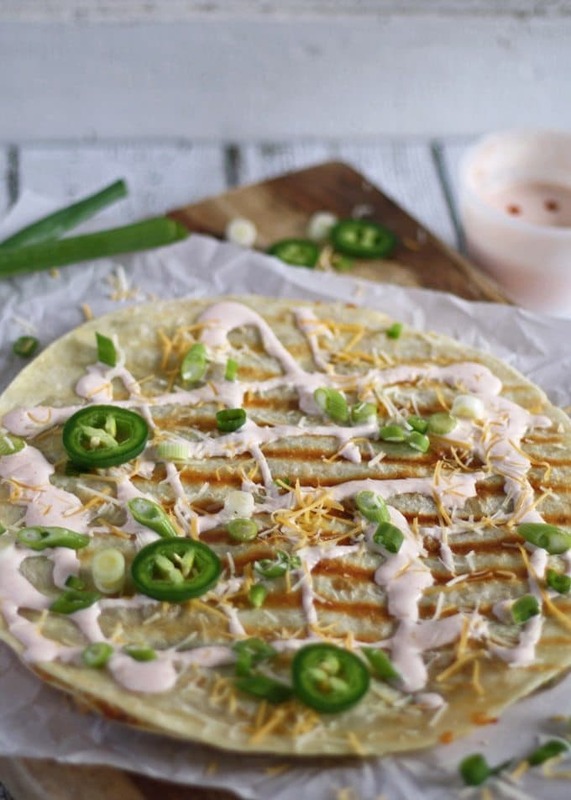 The jalapeno and the green onion here are calling my name. Thanks for linking up at #SaucySaturdays.